All the Tansee products provide you free version, you can download them free at here. We remind you the free version are functional limited, if you want get the full version, please purchase a license code here for the full functions. Any incident and question about the order process, please contact us. 1, The license code is a 20-character-long string. 2, Do not add any spaces to it, especially the front and the end of the string. 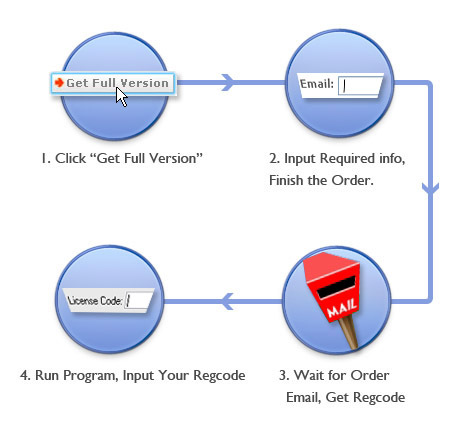 3, We recommend customers copy and paste the key code to the program. 4, Make sure you download the right program, different product fits different key code. If it still can't work, please email us. 2,Email to Support Team. In the email please mention your order id or the email address you finish the order or other info about the order. We will answer you ASAP. Because Not Everything Goes As It Should. Think of this as your digital safety net for those unexpected occurrences - like your hard drive frying or a virus infection. EDS means that with the purchase of your digital product, we'll keep a copy of your file for ONE FULL YEAR. You'll gain peace of mind knowing that we have your program stored and ready for you to download again [for FREE] at your convenience once your computer is up and running again. A little extra insurance on your order to keep your products safe? Why not!